I decorated my first cake about 12 years ago. It was a Scooby Doo cake for The Canadian, made from a Wilton character pan. You know, the kind where you decorate the whole cake with eleventy billion tiny piped stars? It turned out really well, it actually looked like Scooby, and my obsession with cake decorating began. I started decorating so I could make my own family’s cakes. I wanted to be able make my kids really awesome cakes so they wouldn’t be stuck with the nasty grocery store cakes that taste like chemicals and food coloring. And I did that. I can pull off just about any theme those little guys throw at me each year, and they are usually satisfied. But somewhere along the way, I started taking orders and the perfectionist in me went off the deep end because I stressed so much over every last detail, terrified I would mess up on someone else’s cake. I forgot it was supposed to be fun, and it became a chore I muddled through instead of a hobby I enjoyed. So this weekend, I did my last cake order. It just happened to be in the form of cupcakes. 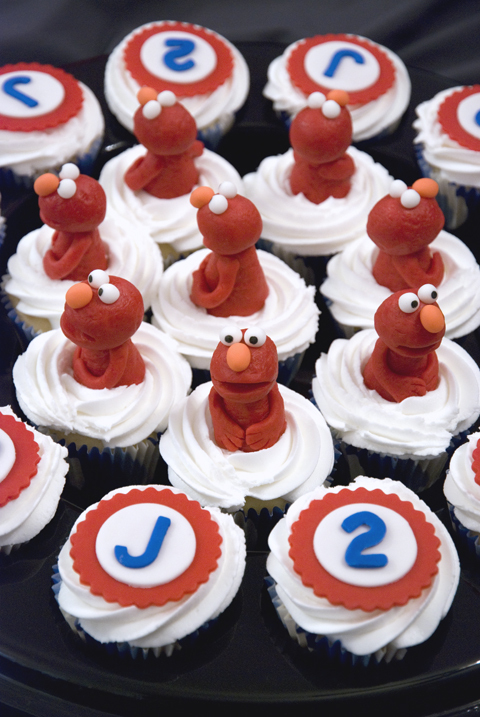 Elmo cupcakes to be exact. Nothing like a beloved character that everyone in the world recognizes to put my sculpting skills to the test! But it was a fun challenge and I actually enjoyed doing it. 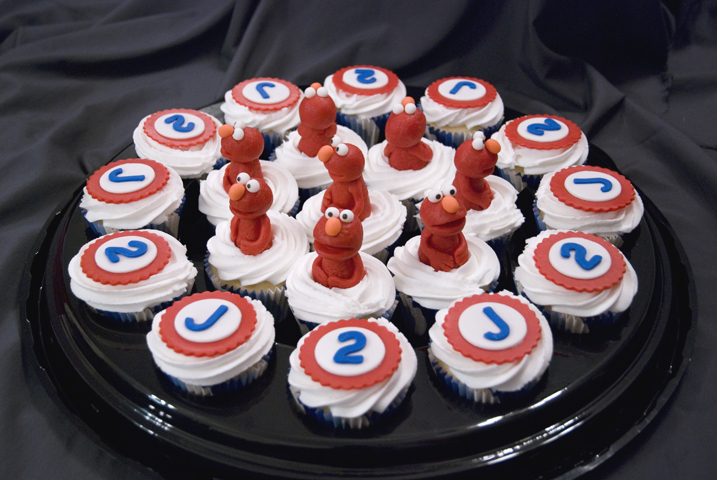 For my fellow decorators out there, Elmo and the scalloped red discs under the numbers are modeling chocolate, the rest of the details are fondant and they all sit atop classic vanilla buttercream. And now, in honor of my last order, lots and lots of pictures! Enjoy! 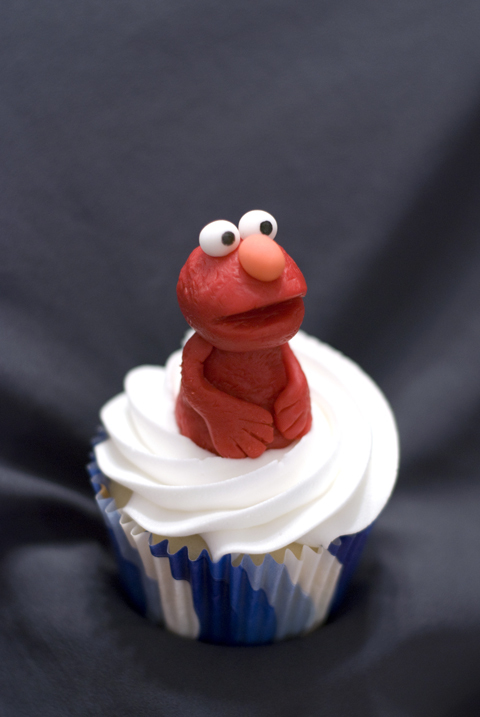 7 Responses to Elmo Loves Cupcakes! They were fantastic…you are fantastic and thanks again for doing this and making my boy very happy! 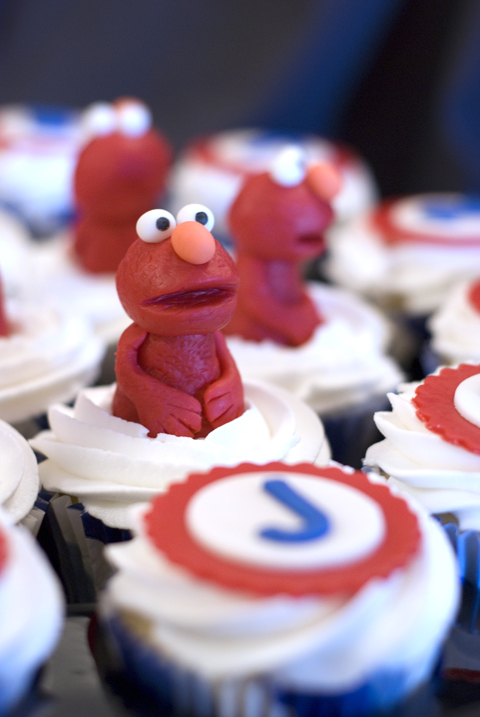 He LOVED eating the Elmo….I’ll send you that pic! I want to shove all those cupcakes in my face right now. All your cakes are spectacular! Good job! 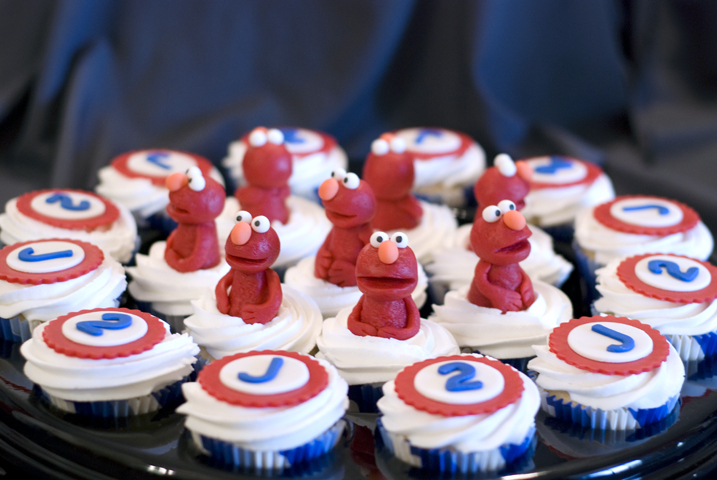 What awesome cupcakes! You make it so much more than a cupcake. It’s an art form! You are so talented! Well – you went out with a bang. They are adorable.